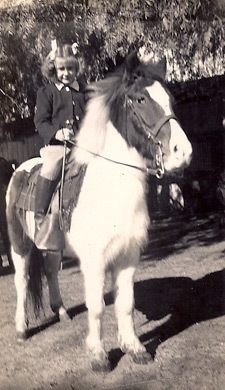 As is the case for so many of us, Judy Martinʼs love for horses blossomed in childhood. So itʼs no surprise that a gift from her grandmother, a naughty little black and white pony, was the start of a lifetime spent devoted to horses. 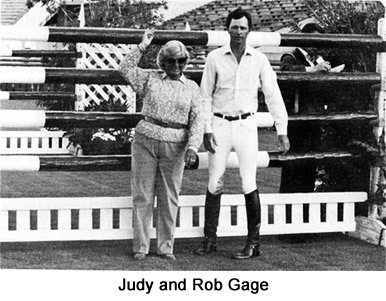 Growing up in Southern California, Judy taught lessons and rode horses for others to pay for her own horsesʼ board and feed. Mentors at that time were few and far between, but there was a very knowledgeable Western trainer, Mack Lynn, whoʼs valuable techniques and horsemanship greatly influenced Judy all her life. Her greatest asset however, was her ability to watch and learn from great riders, putting their successful methods to use in a way that worked for her. In the mid 1970ʼs Clay Running, the father of one of her talented students, decided Judy needed her own facility. He purchased and built for her Sea Horse Riding Club in Rolling Hills Estates. This would be where her business would grow and thrive over next many years. 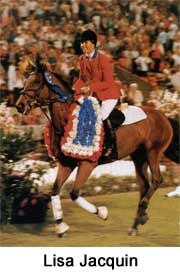 Judy taught countless gifted & devoted junior riders, campaigning coast to coast in the Equitation and Hunter divisions at some of the best shows in the country. 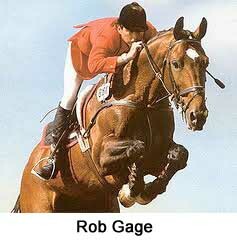 When a young rider named Rob Gage came to work for Judy the jumper sport took a predominant roll in her career. At this point Judyʼs skills as a coach meant success for Rob and her students, most notably, Lisa Jacquin. They travelled to Europe for World Cup Finals, Pan Am Games, Nations Cups & numerous International competitions. 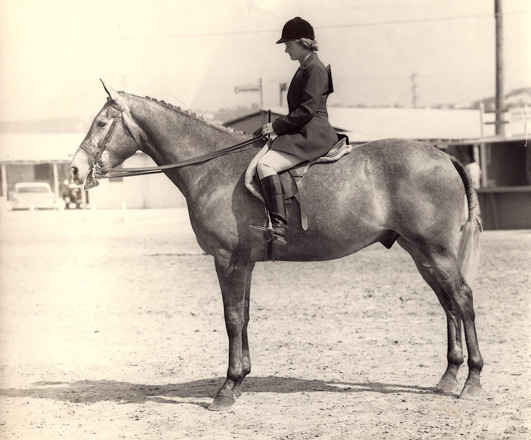 In 1990, Judy sold Sea Horse Riding Club to work privately for Gabriella Salick and Sandstone Farm. 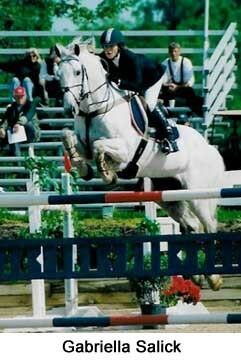 With an overwhelming number of horses to manage, Judy gave a youn talent named Richard Spooner an opportunity to ride many horses from youngsters to Grand Prix veterans. She knew even back then that with his terrific work ethic Richard would go far. When Gabriella headed to Princeton for college, Judy became a clinician and free-lance coach, traveling far and wide to meet the needs of her many clients. It is during this period that she developed a reputation as “the trainerʼs trainer.” Itʼs Judyʼs unique ability or gift to simultaneously bring out the best in her clients and their horses that has earned her tremendous respect in the jumping community. Just a few of the riders who have sought her expertise include Rob Gage, Lisa Jacquin, Hap Hansen, Chance Arakelien, Mary Ting, Susan Artes, Sarah Baldwin, Liz Denny, William Martin, Mike & John Endicott, Mickey Sage, Mark Watring, Devon Gibson, Heather Olson, Harley Brown and Paul Rohrbach. Get to know the legendary Judy Martin from her introduction to the sport to her biggest influences. Judy Martin reveals her brilliant system using rails on the ground and cavallettis to enhance the riderʼs hand, leg & eye coordination while simultaneously improving the horseʼs balance and acceptance of the bridle. If you liked this video and want to see another exercise to hone the riders hand, leg and eye coordination and the horse's adjustability check out Armando Hassey's Daily Pole Exercises.